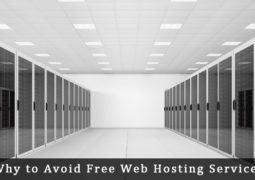 Web hosting involves the provision of server space along with ancillary services to enable users to run their own website or blog. You can equate it with empty factory space you rent to run a physical business. You get the space and some services such as security, storage space, plumbing and power, but not the products, sales and other essential aspects of a business. Many people prefer to rent the entire factory, or store, fully fitted so all they have to do is create the products. In the blogging world, this would equate with hosted blog such as Blogger or WordPress.com – all ready to go once you start writing. The problem with these is that you have limited influence over the look and feel of your blog, and the tools available can also be limited. 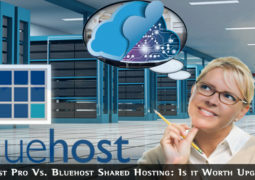 You can find more about the pros and cons of hosted blogs on our post Self-Hosted WordPress.org Vs. Free WordPress.com. 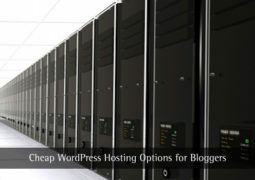 Web hosting services offer you the opportunity to run a self-hosted blog, particularly if you use the WordPress blogging platform. By hosting your own blog, you have total control over the content, tools and plugins you use to maximize your blog’s potential. 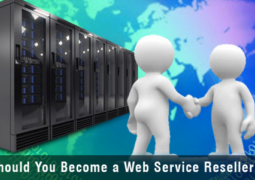 You own everything other than the server space you hire from the web hosting service. You can use any blogging template or theme and your websites and blogs can look very professional. Many people use a static front page or landing page, behind which they run a blog which offers the SEO benefits of continually refreshing content. You get the benefits of both a regular website and a blog. There are many web hosting services available, some of them focussing on specific blogging platforms, particularly WordPress. Others can be used for regular sites and blogs, and you can often run multiple websites and blogs from the one hosted account. 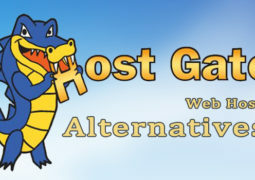 This Category offers advice, reviews and instruction on how to select and use web hosting services.